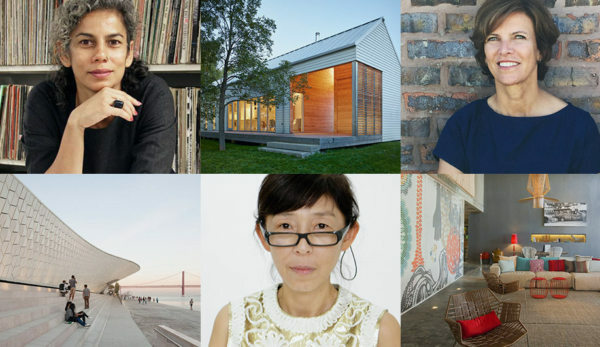 Alison Brooks was interviewed by Building, along side fellow female architects, Karen Cook, Teresa Borsuk and Gorana Shepherd on International Women’s day. 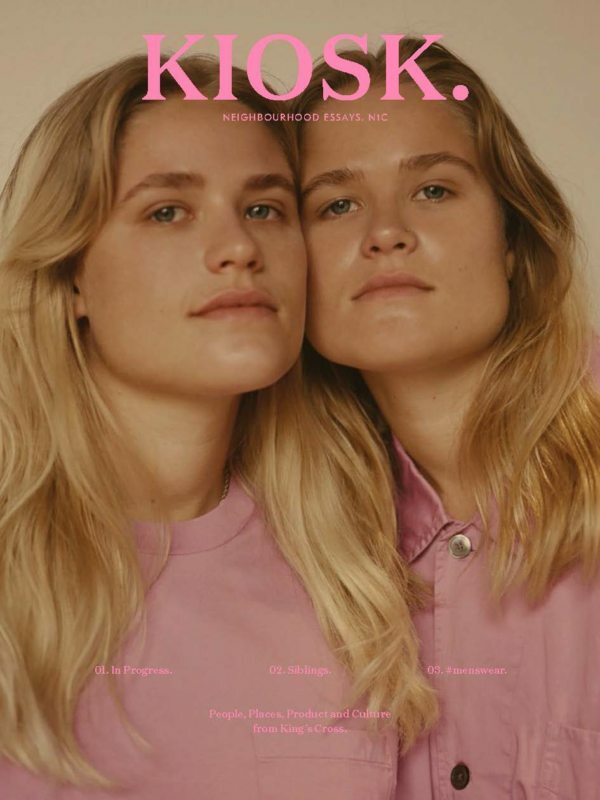 Alison Brooks features as the cover article on CLADmag’s first issue of 2018. Following The Smile winning the Display Award at the 2017 World Architecture Festival in Berlin, Alison was interviewed on timber building, protecting the public realm and the unsung role of architects. 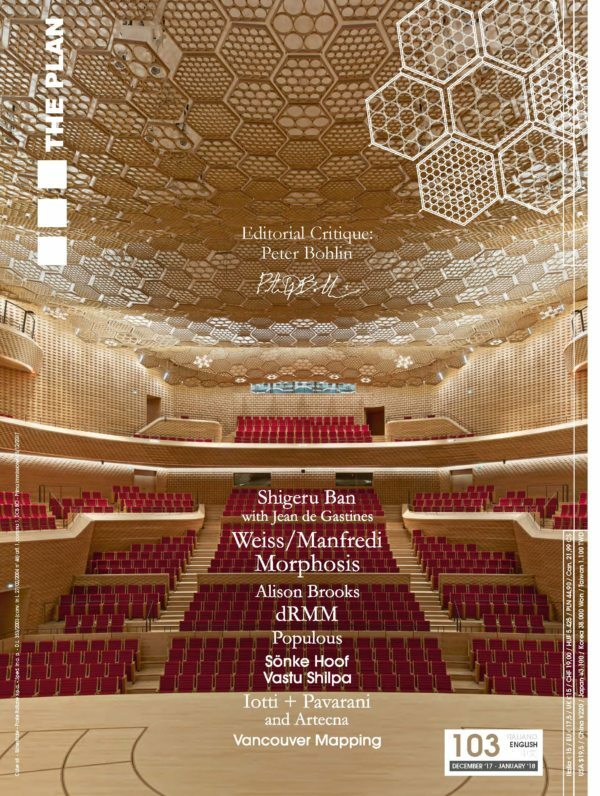 The Smile features in this month’s issue of The Plan on the technological innovation of it’s use of CLT panels. 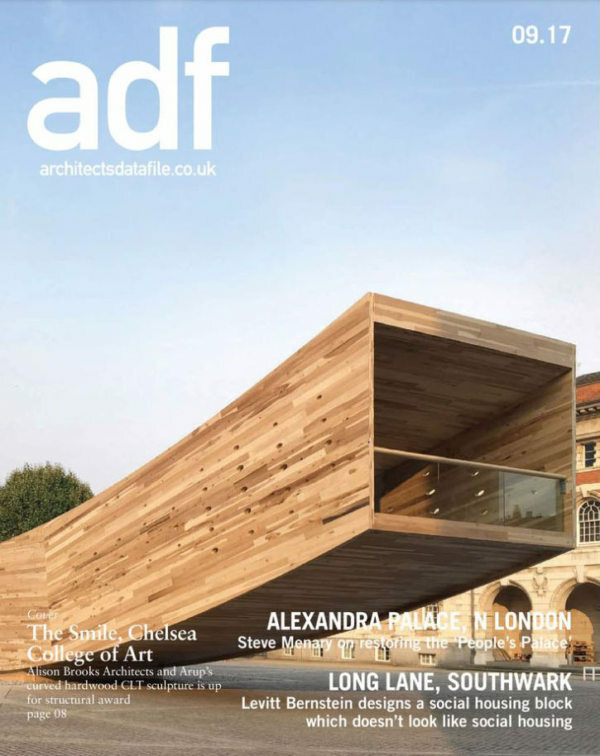 The article looks at three very different projects illustrating the use of hardwood as a structural building material; The Smile, Maggie’s Centre Oldham (dRMM Architects) and Warner Stand at Lords Cricket Ground (Populous). 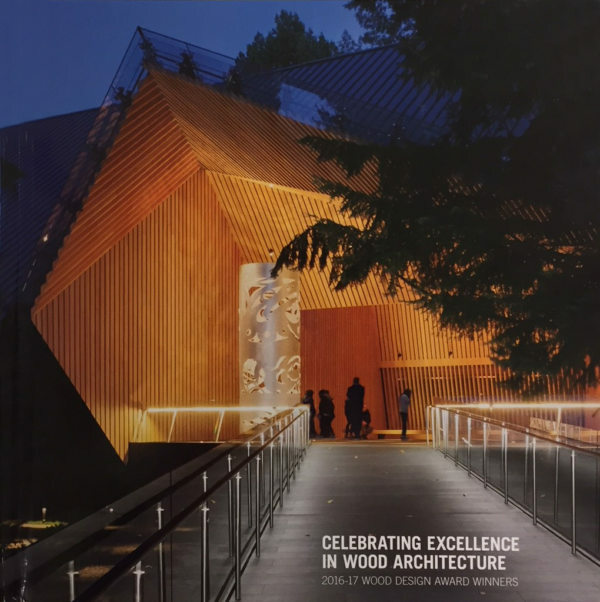 The Smile has been published in the Wood Design & Building Awards’ book ‘Celebrating Excellence in Wood Architecture’ which features all 2016-17 winning projects across the globe. 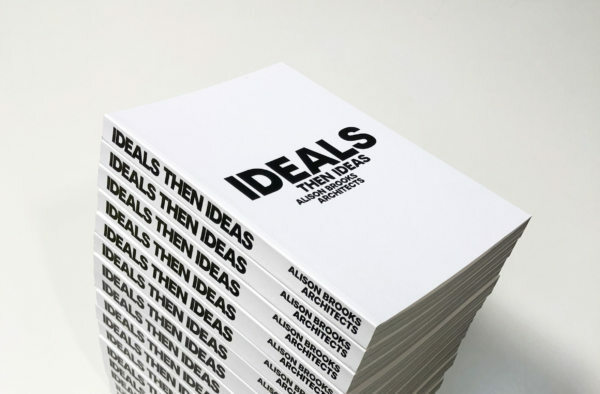 Books will be available to purchase shortly. At the World Architecture Festival 2017 in Berlin, Alison was interviewed by designboom about our award winning ‘The Smile’ and why she thinks the public should be involved in discussions about architecture. Alison Brooks profiled in issue 3 of Kiosk., where she speaks to David Michon, former editor of Icon Magazine, about her time living and studying in Rome, her practice, work and ideals. “One architect that has been captivated by Villa Adriana’s masterclass, is the Canadian-born Alison Brooks. 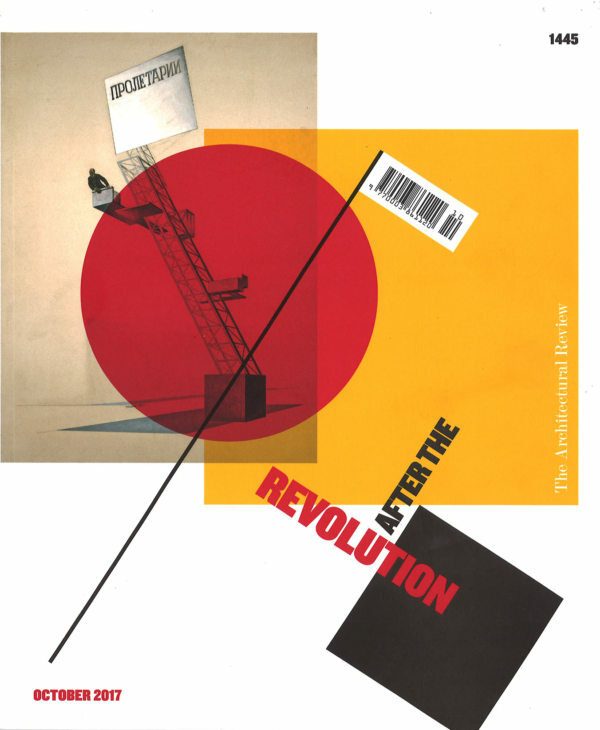 In 1984, 20-something Brooks was living and studying in Rome; drawn to the Villa, she spent three weeks there in “solitary drawing and speculation”, understanding the art of the place – its nuanced design, its interaction with an undulating and disjointed landscape and its ability to surprise and delight. 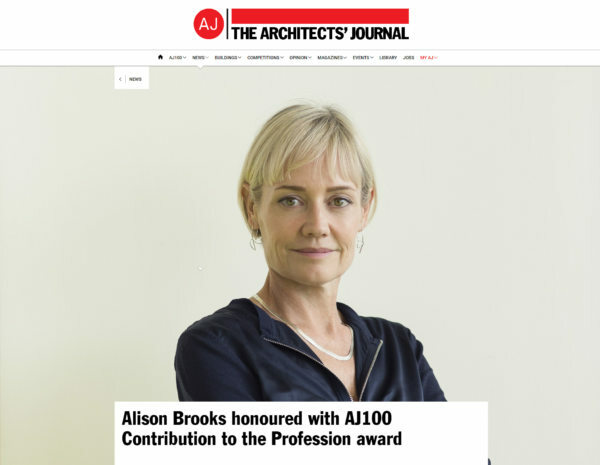 Alison Brooks Architects features in October’s Architectural Review among practices that have made a commitment to support and enable change through the Women in Architecture programme. 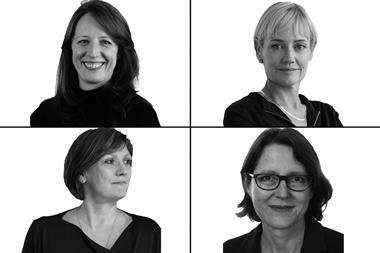 “Alison Brooks Architects is delighted to sponsor the Women in Architecture programme as a partner. The programme has raised awareness of the often unrecognised contributions women have made to contemporary practice and historically; it has initiated a huge array of opportunities for women to meet and exchange ideas; and it has stimulated debate on workplace equality. All of this we hope will lead to industry change. The programme celebrates the achievements of women in the profession while reminding us that we can all change the status quo. The Smile features as an exemplar of innovative use of CLT in the Financial Times’ article on the cutting edge of a new timber architecture. 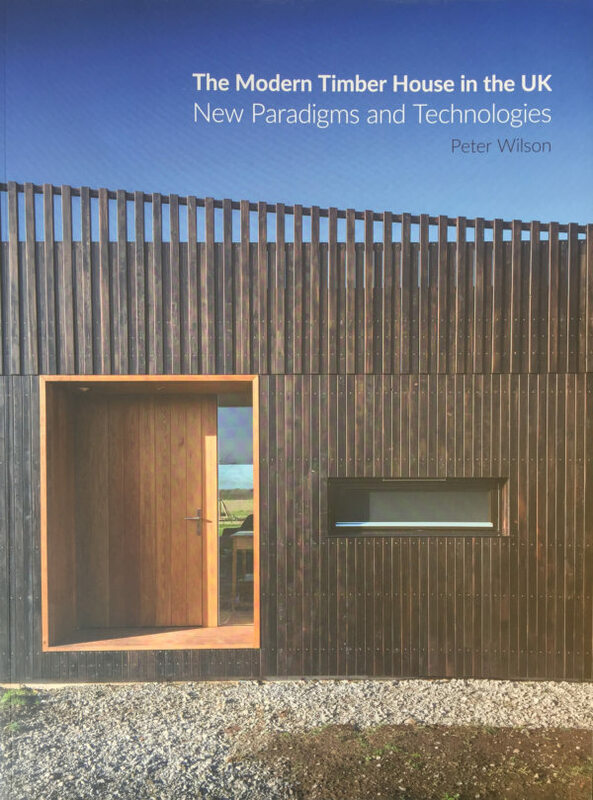 ‘After more than three centuries, a wooden architecture is once more taking shape in the city, which is leading the world in large-scale urban timber construction… However, temporary and experimental buildings are starting to nurture that experience. Last year Alison Brooks Architects built the world’s largest CLT tubular structure at site. 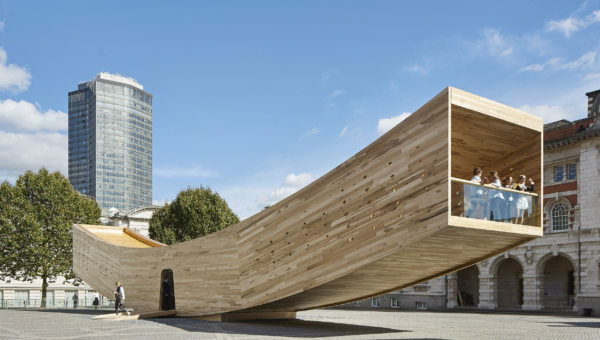 The Smile… was a single, simple curve erected for the London Design Festival… London may no longer be surrounded by the forests of the Elizabethan era, but it is at least at the cutting edge of a new timber architecture’. 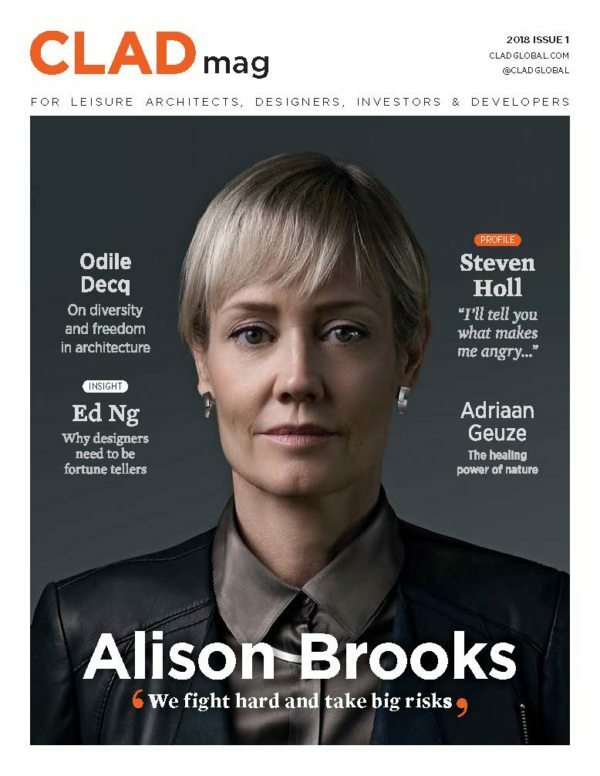 Alison Brooks advises Christie’s International Real Estate Magazine’s readers on how best to work with architects to design and build their dream home in The Architecture Issue. ‘Balconies with bronze frames break up the brick exterior of these three housing blocks in northwest London by Alison Brooks Architects – a finalist for this year’s Mies van der Rohe Award’. 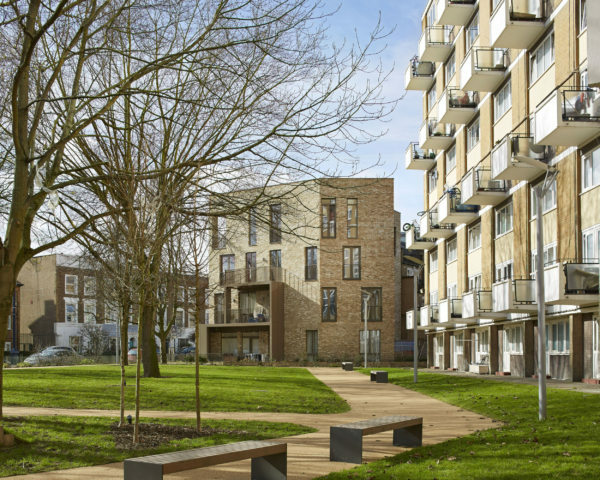 ‘Brooks’ London firm designed Ely Court to create 44 new homes as part of the South Kilburn Estate Regeneration Masterplan – one of the largest regeneration schemes in London. The 6,509-square-metre complex is made up of three residential blocks named Terrace, Link block and the Flatiron arranged around a garden square’. 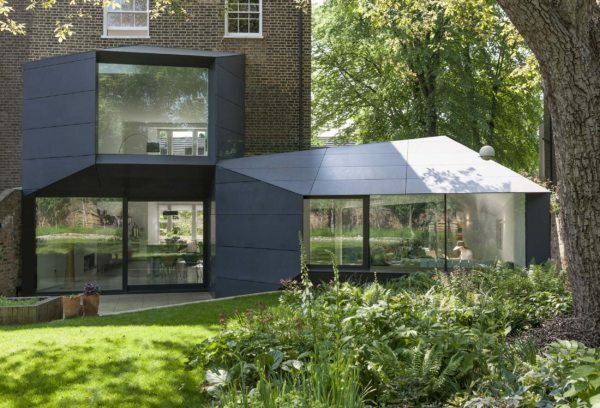 ‘Alison Brooks Architects’ RIBA Award-winning Ely Court in north west London is the only UK finalist chosen for the 2017 Mies van der Rohe Award. 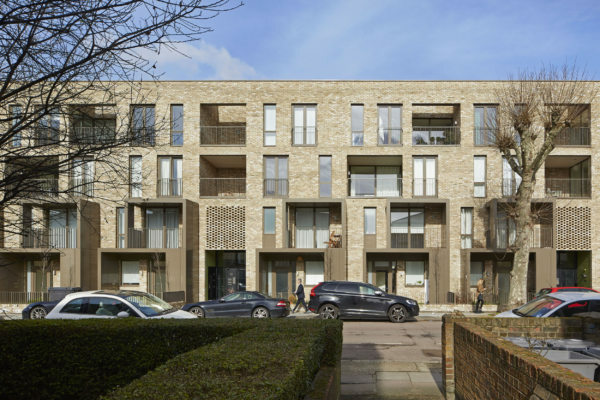 The 43-home scheme in South Kilburn made the five-strong shorlist alongside a museum in Poland by BBGK Architekci; a house in Denmark by Lundgaard & Tranberg Architects; a museum in France by Rudy Ricciotti and a block of flats in the Netherlands by NL Architects and XVW architectuur. In December it was revealed that 19 schemes from the UK had made it on to a 356-strong longlist for the prestigious pan-European award. 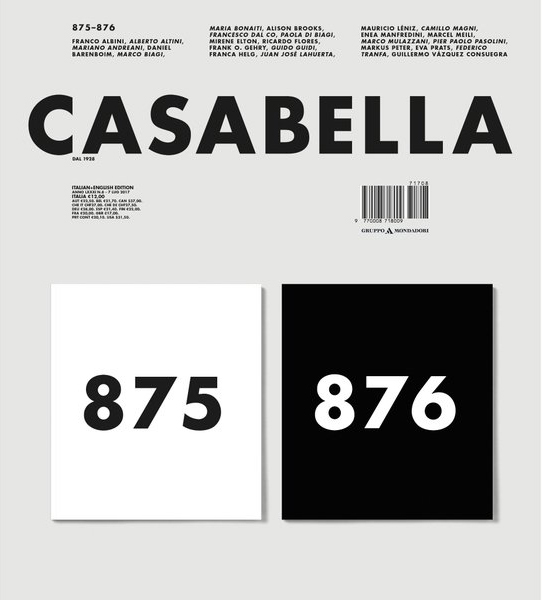 These included FAT’s A House for Essex; MUMA’s Whitworth Gallery in Manchester; Caruso St John’s Newport Street Gallery in London; DRDH’s Stormen concert hall and library in Bodø in Norway, and AL_A’s MAAT cultural centre in Lisbon. 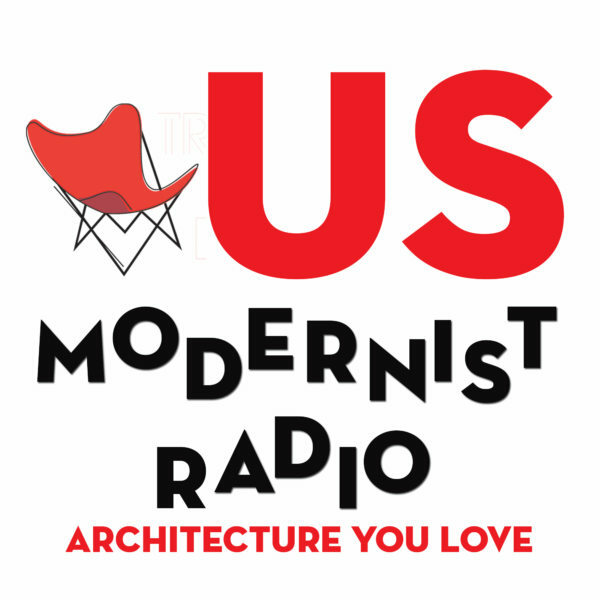 Read more in The Architects’ Journal article here. 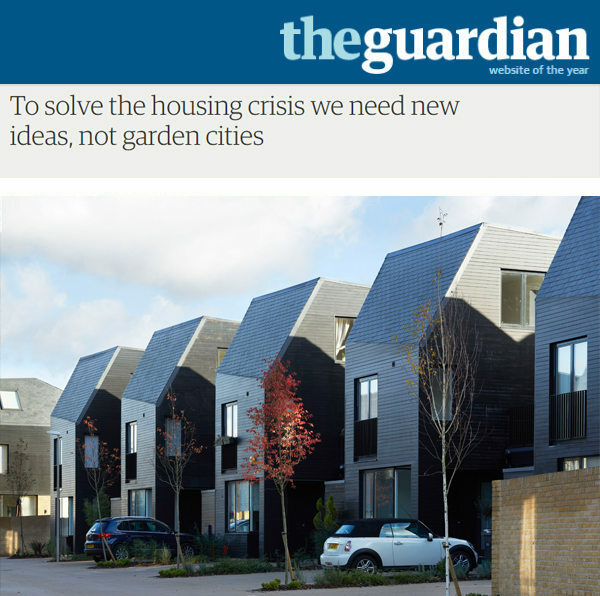 In her article in The Guardian, Frances Holliss uses ABA’s Newhall Be as an exemplar of design for home-based work.